Manufactured from 1945 to 1949. Like many of the previous Retina I models it has screws filling the holes where an accessory shoe had been fitted on some earlier models. 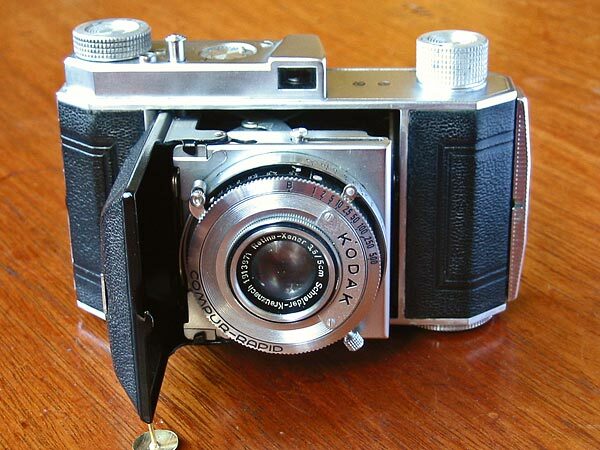 This model was supplied with either Schneider Xenar (coated or uncoated), Anastigmat Ektar, Kodak-Anastigmat, Kodak Ektar or Rodenstock Ysar lenses in Compur or Compur-Rapid shutters. There were some changes made over the life of this model. 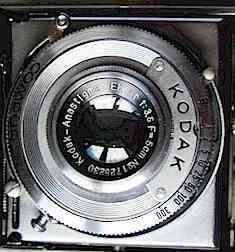 Below you can see a close-up of lens/shutter assemblies from early and late examples. 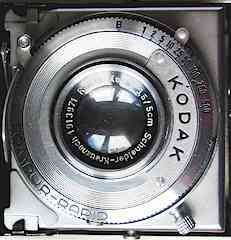 Note that the focus knob switched from the seven o'clock to the five o'clock position on the later example. The shutter release coupling also changed over this time.